The GTVA Alliance was originally founded in OGame Universe 7 by a group of friends. At the start of Universe 18 we decided to move and start a new with our newly made friends and knowledge of the game. We have since started new forums and created a website and restructured the alliance. Our goal is to have a structure to encourage members to play an active part in the alliance and enjoy themselves. OGame is a game of intergalactic conquest. You start out with just one undeveloped world and turn that into a mighty empire able to defend your hard earned colonies. Create an economic and military infrastructure to support your quest for the next greatest technological achievements. Wage war against other empires as you struggle with other players to gain the materials. Negotiate with other emperors and create an alliance or trade for much needed resources. Build an armada to enforce your will throughout the universe. 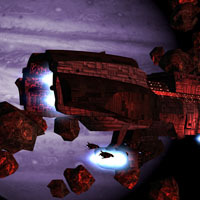 Horde your resources behind an impregnable wall of planetary defences. Whatever you wish to do, OGame can let you do it. Will you terrorize the area around you? Or will you strike fear into the hearts of those who attack the helpless? 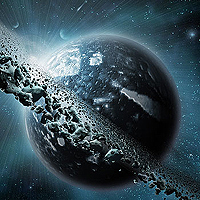 The fate of the Terran home planet remains open to speculation, though a number of scenarios are possible. As the centre of an interstellar community, Earth could not survive in isolation without a radical transformation of its political and economic structures. On this point, there is no disagreement. However, the question remains whether this transition occurred peacefully or whether Terran society collapsed into anarchy. Strong arguments have been advanced for both sides. For generations, Earth had been the political, economic, and cultural centre of Terran civilization. Humans still measured time in hours, days, months, and years. They named their ships after the mythological figures of ancient Terran civilizations, and systems were still identified according to the constellations observed from Earth. The planet served as capital of the GTA, and the bulk of the Terran industrial base was located in the Sol system. Offworlders identified their nationality according to the old Earth boundaries, though nation-states dissolved after the discovery of subspace and the emergence of an interstellar Terran society. For years after the destruction of the jump nod in the Sol system the system descended anarchy and everyone tried their best to survive. But the remaining Navy in the system had no choice but to take control of the entire system. A military ruling over the system over time changed to a more democratic ruling. The structure of a ruling council that make all decisions for the system made the once great centre of an interstellar society into a thriving system that now is completely self sufficient. The hope to find away to join the rest of the civilization is always being investigated. 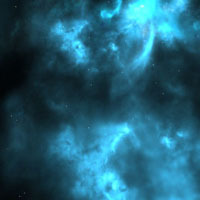 The threat that the Shivans will return the Ruling Council have continued to construct ships and have an active Navy under the Security Wing of the Ruling Council, they also help keep order on the planet in the Sol System. The Intelligence Wing helps to keep the Ruling Council up to date with the latest intelligence and possible threats. Although the Ruling Council is only in one system there is still a need for a Diplomacy Wing.